If you love horror movies like the breakout hitsHappy Death Day and The Gallows, no worries because Happy Death Day 2 and The Gallows 2 are set for 2019. 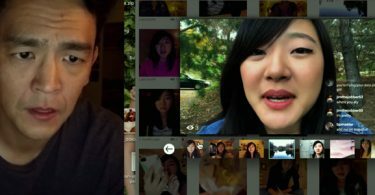 CelebNMovies247.com has the latest on Happy Death Day 2 and The Gallows 2 which are both set to scare you in theaters in 2019. 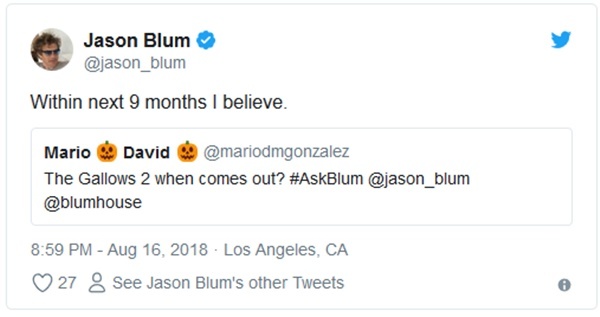 During a recent Twitter Q&A, Blumhouse studio head Jason Blum provided an update on the status of both Happy Death Day 2 and The Gallows Act II. 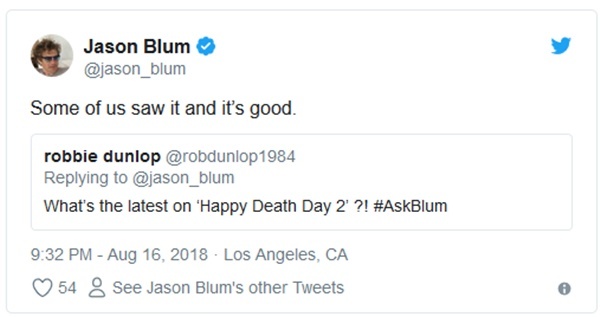 First off, Blum has actually already seen Happy Death Day 2 and claims that it’s quite good. Happy Death Day 2 began filming in May, with director Christopher Landon and star Jessica Rothe (Tree Gelbman), and Israel Broussard (Carter Davis) are returning and had a kind word to share. The studio apparently made quick work of it. Given Blumhouse’s very successful business model of making movies for very small budgets. Some of us saw it and it’s good. Expect to see the Groundhog Day horror movie with a slasher twist killing its way into theaters sometime in 2019. 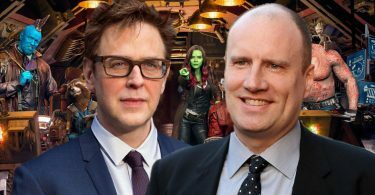 As for, The Gallows II, it was reported in July that the MPAA had already rated the movie. It also let the cat out of the bag that follow-up had already been shot in secret. The movie stars Ema Horvath, Brittany Falardeau and Chris Milligan and apparently was already testing in 2017, so this thing has been done for quite a while. Tha actually title is The Gallows Act II. Within next 9 months I believe. That would end up being somewhere around Memorial Day next 2019.